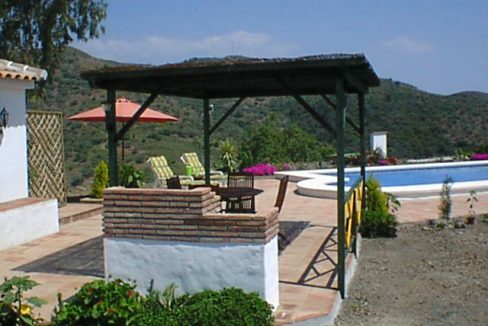 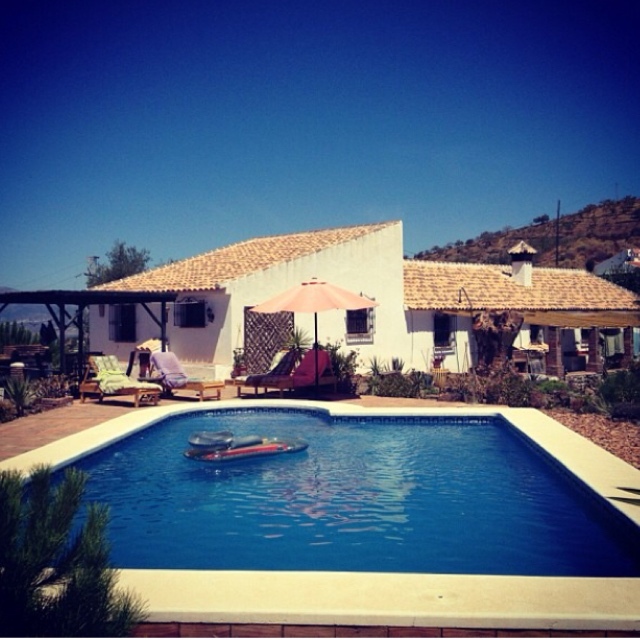 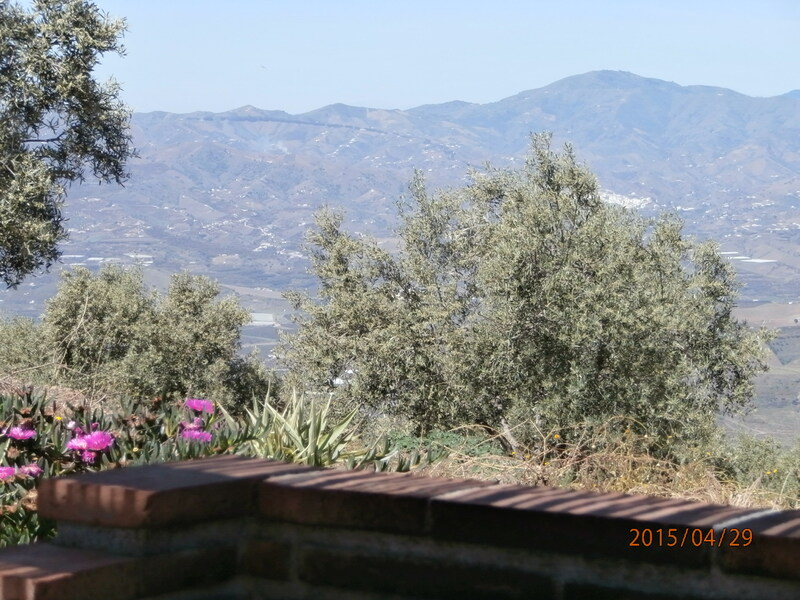 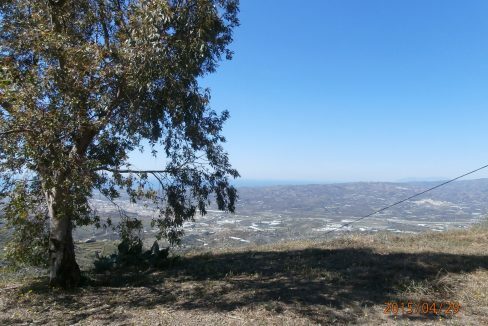 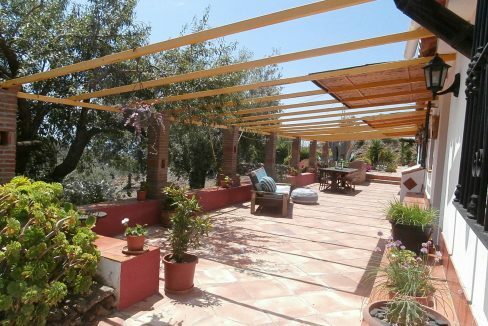 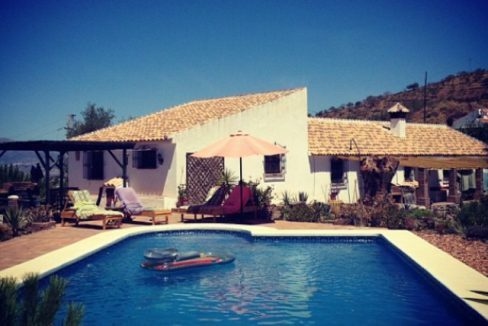 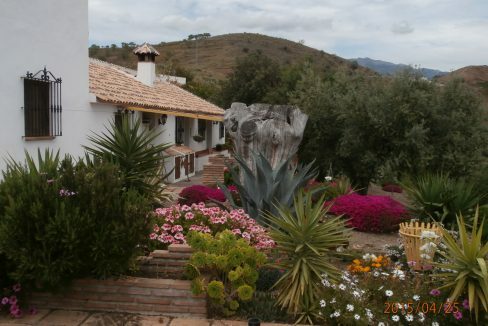 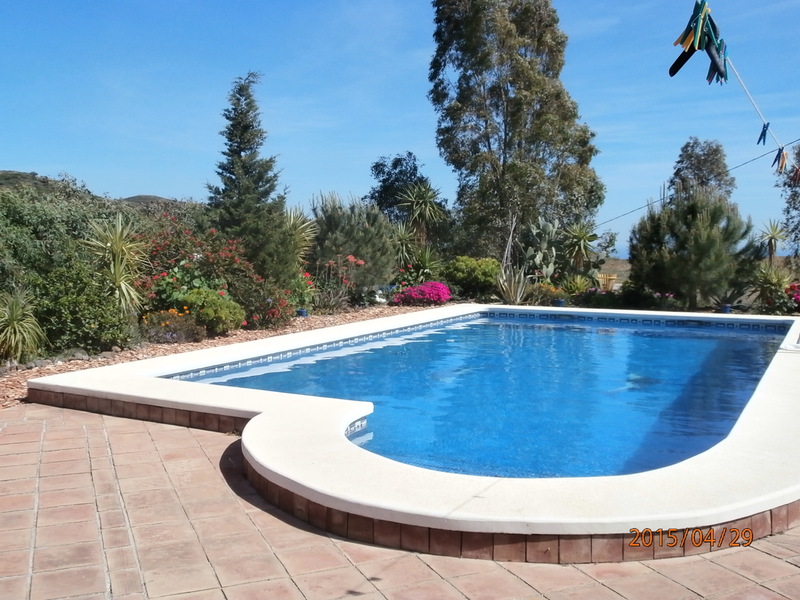 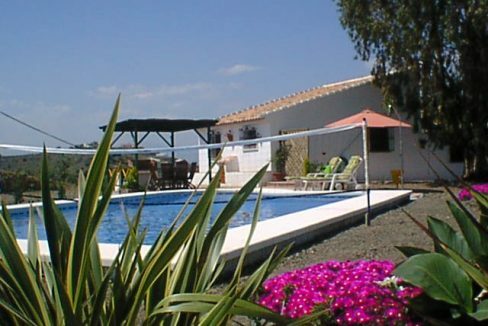 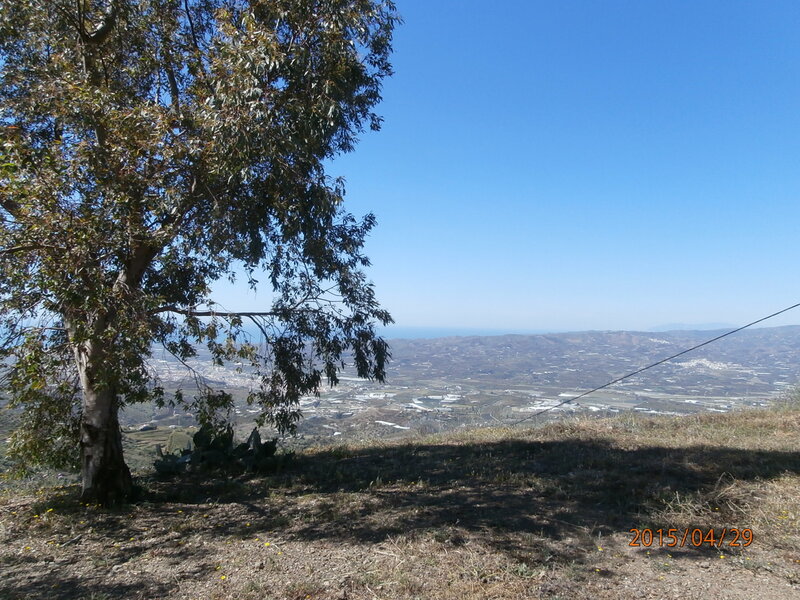 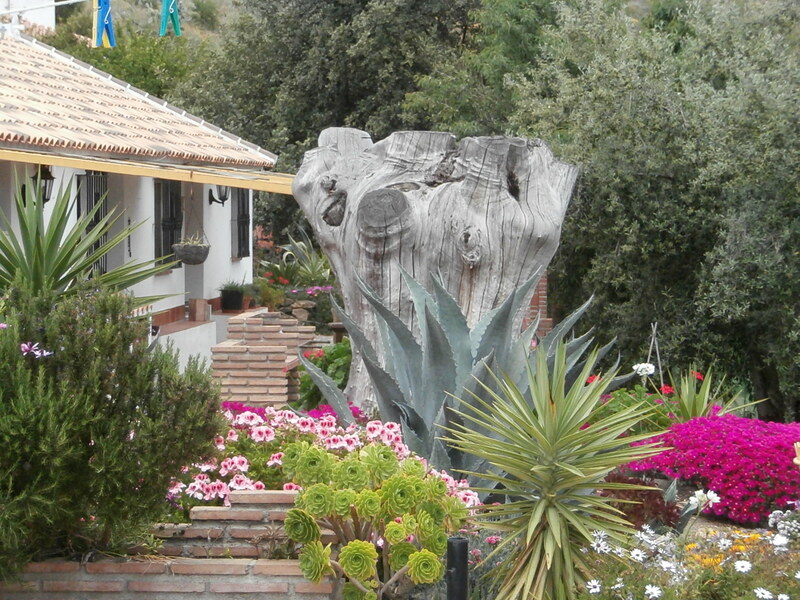 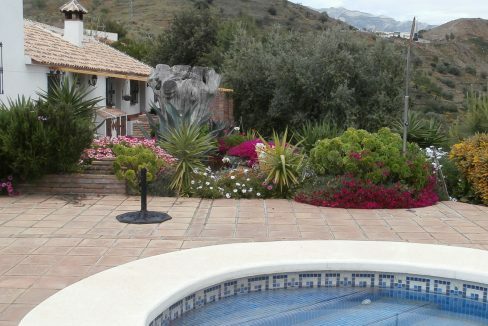 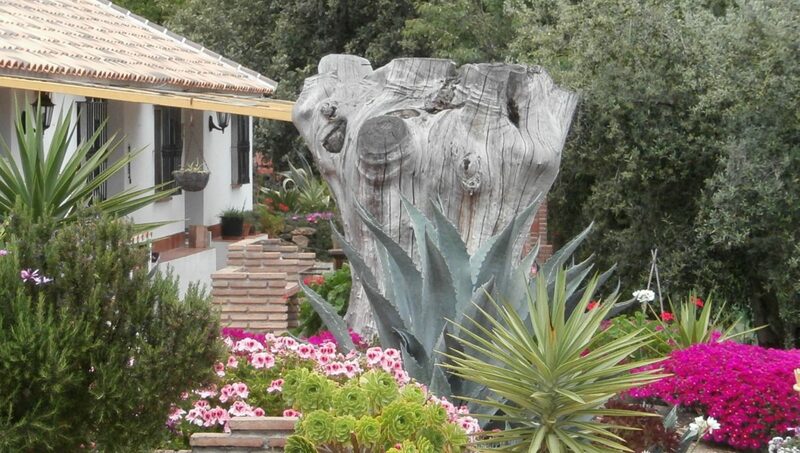 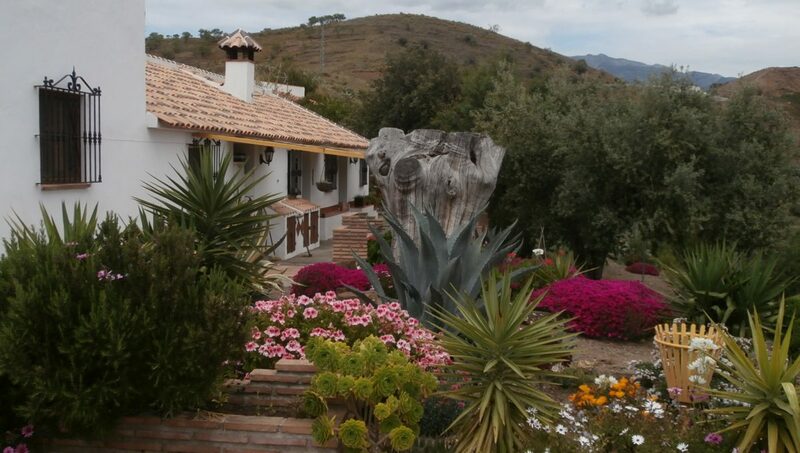 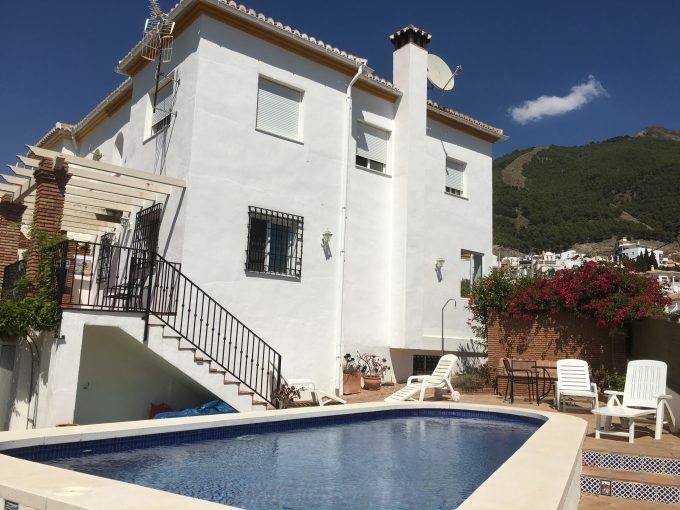 An extensive traditional Cortijo set on a plateau, just 10 mins from Velez Malaga town, and 20 minutes to the Coast, with spectacular 360 degree panoramic views of the sea & mountains, on a good day Africa can be seen. 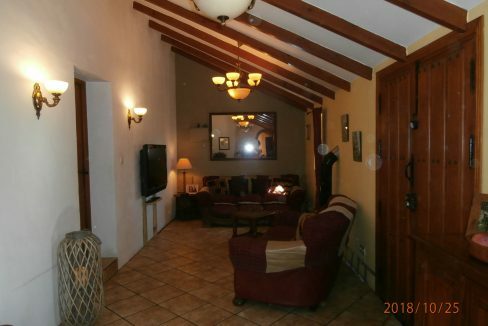 Reformed in 2005 by present owners, it has 5/6 double bedrooms and 2 bathrooms and 2 kitchens. 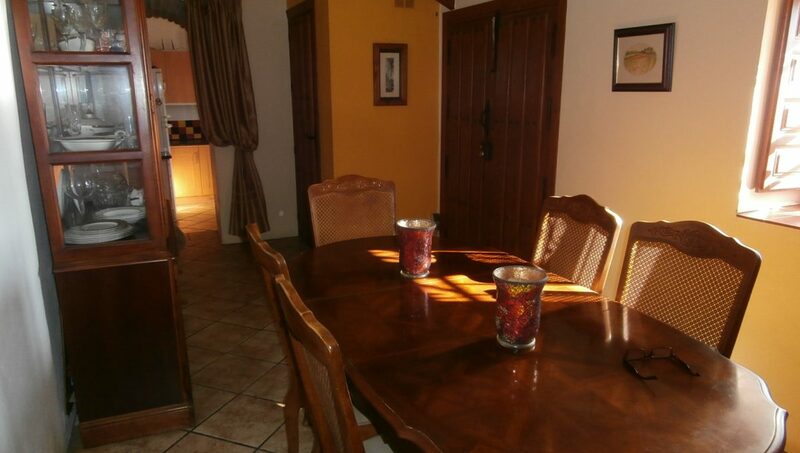 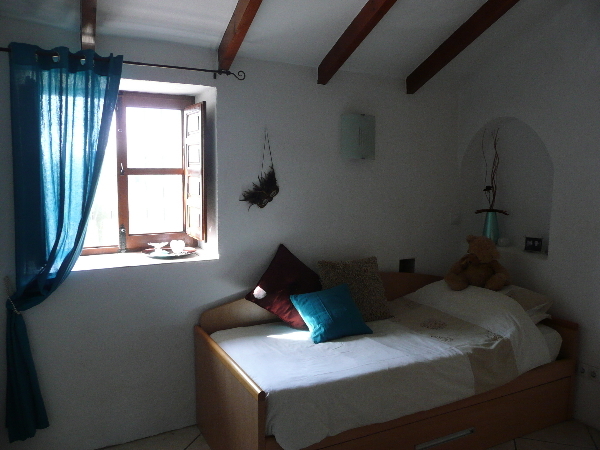 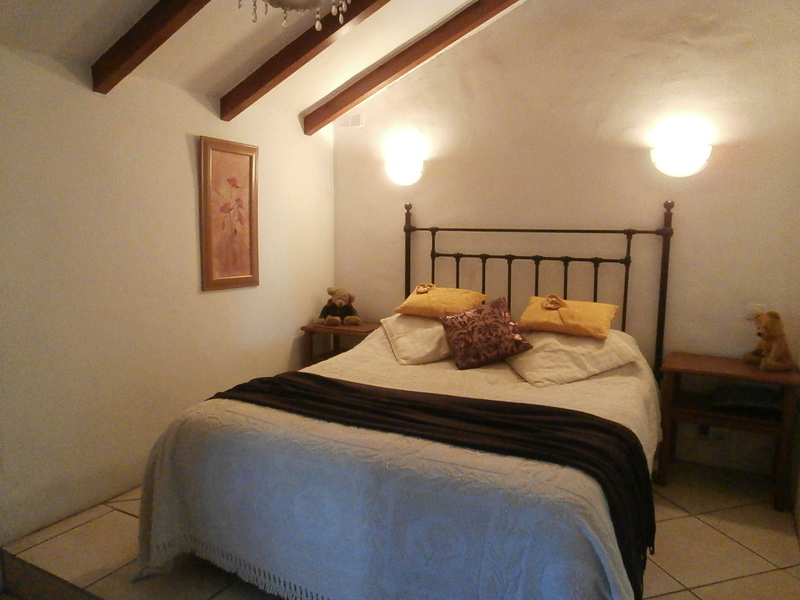 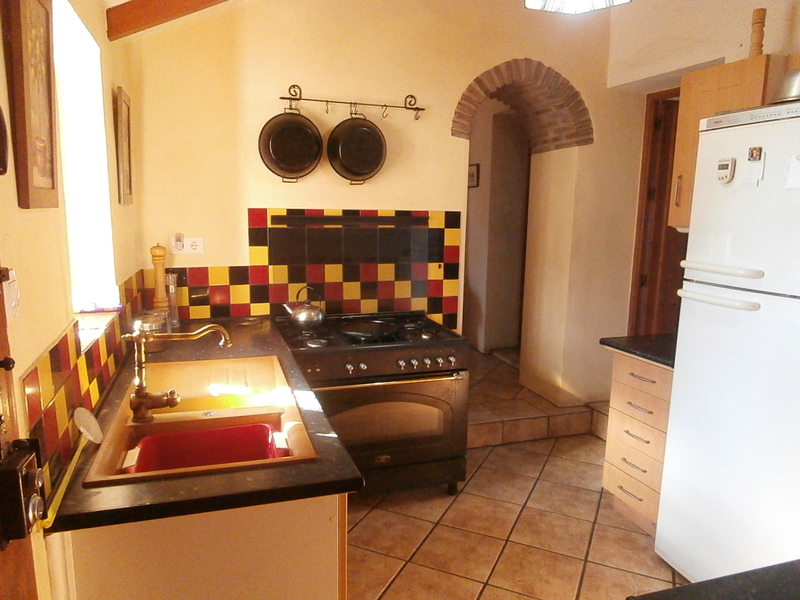 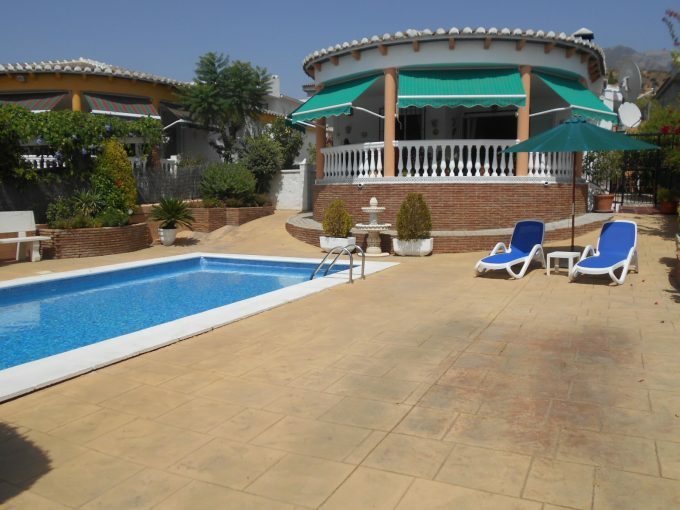 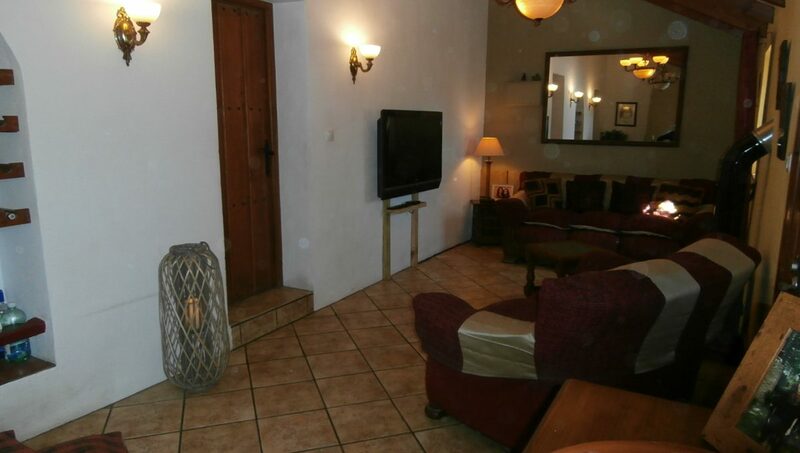 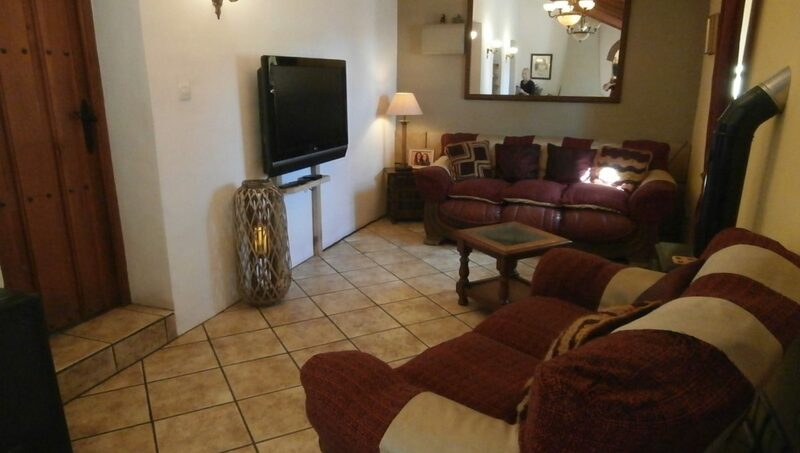 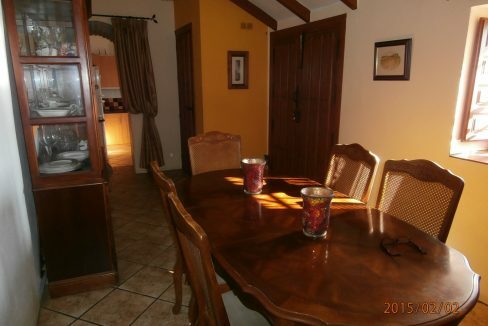 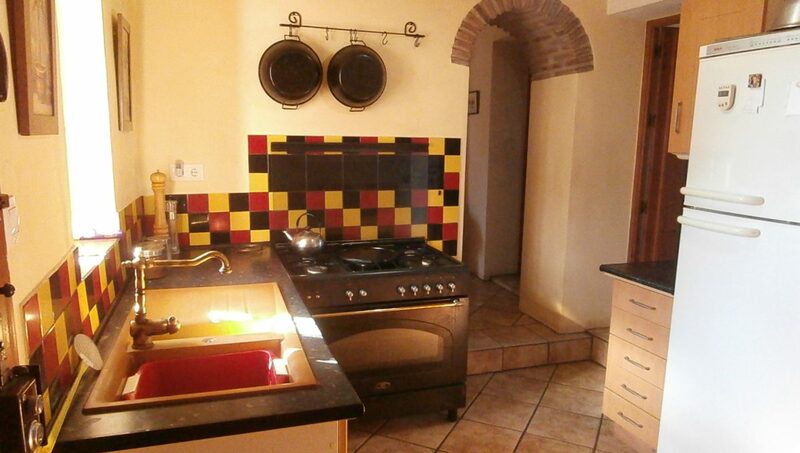 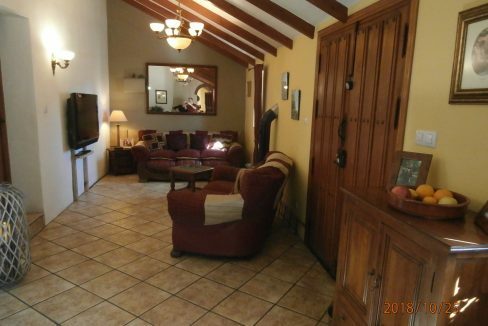 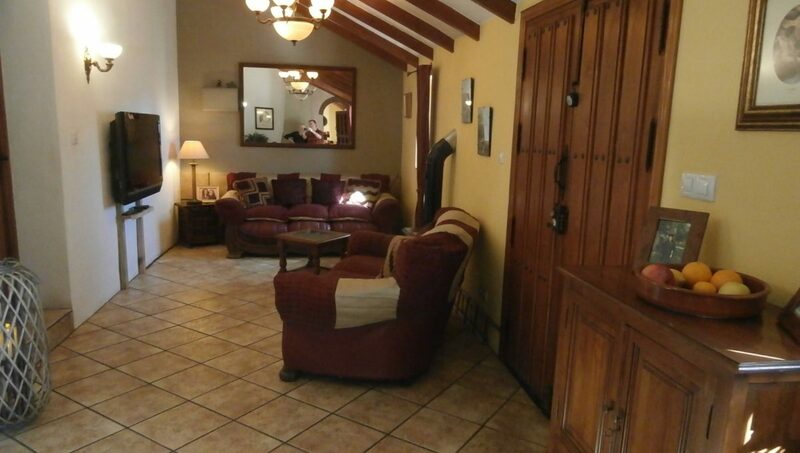 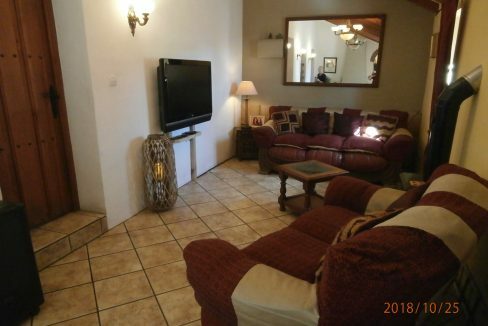 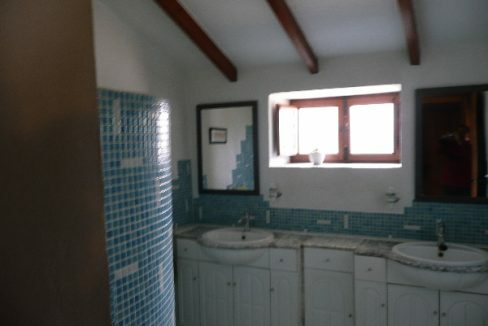 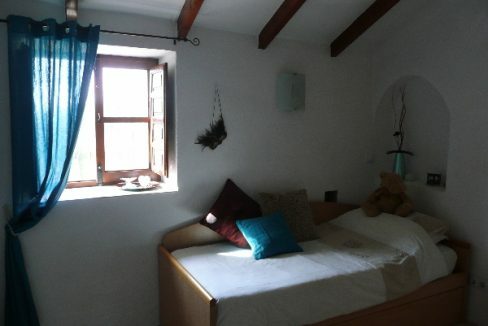 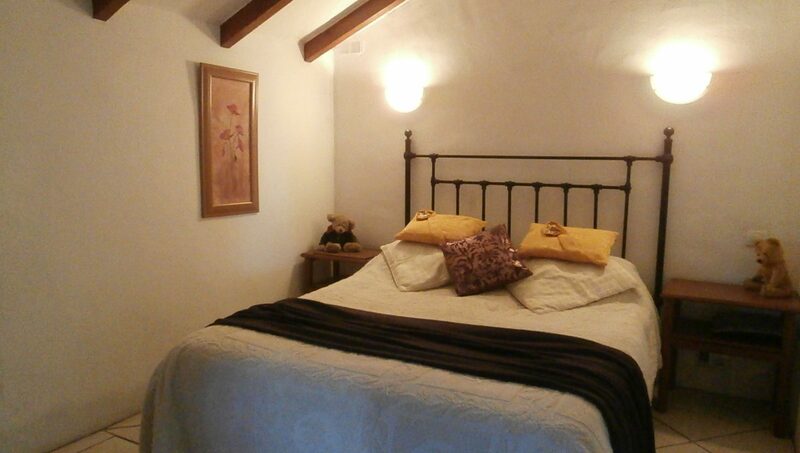 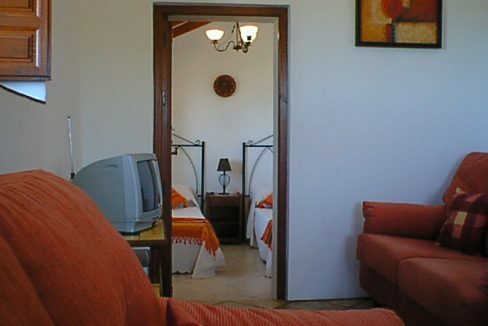 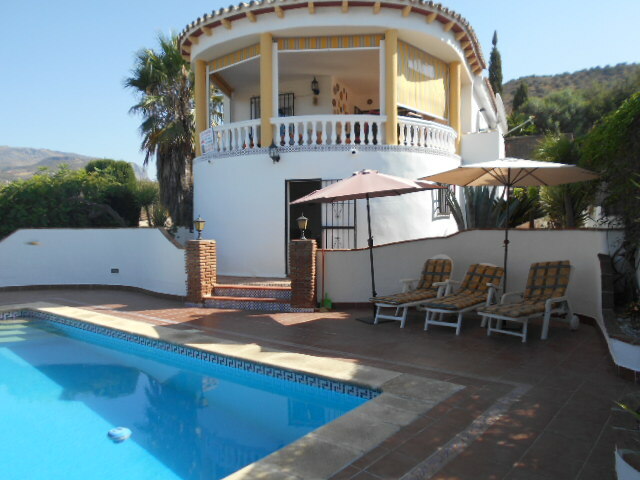 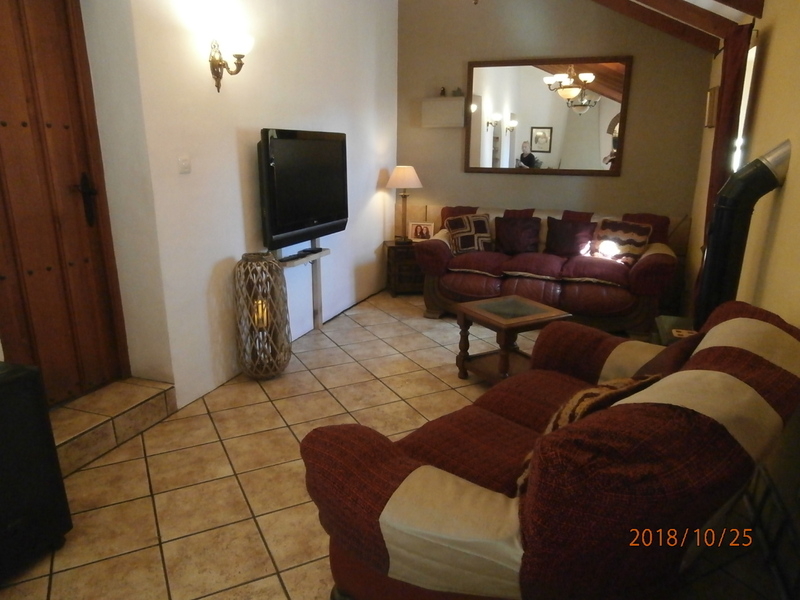 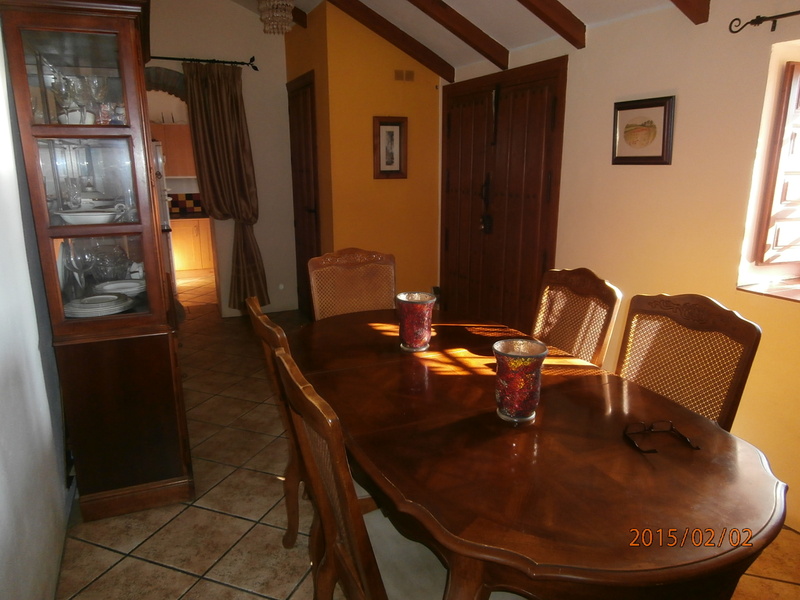 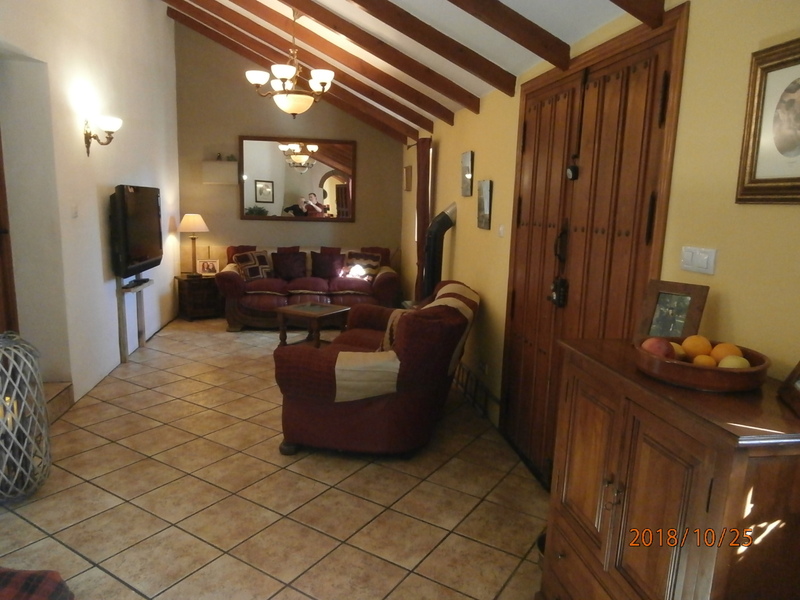 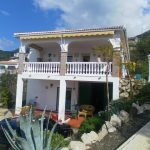 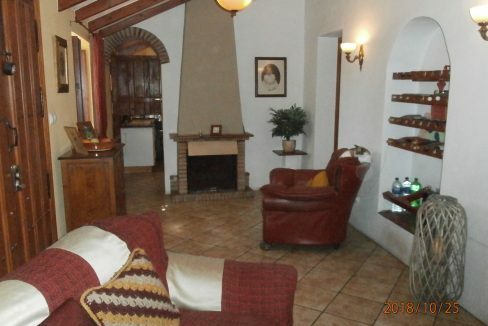 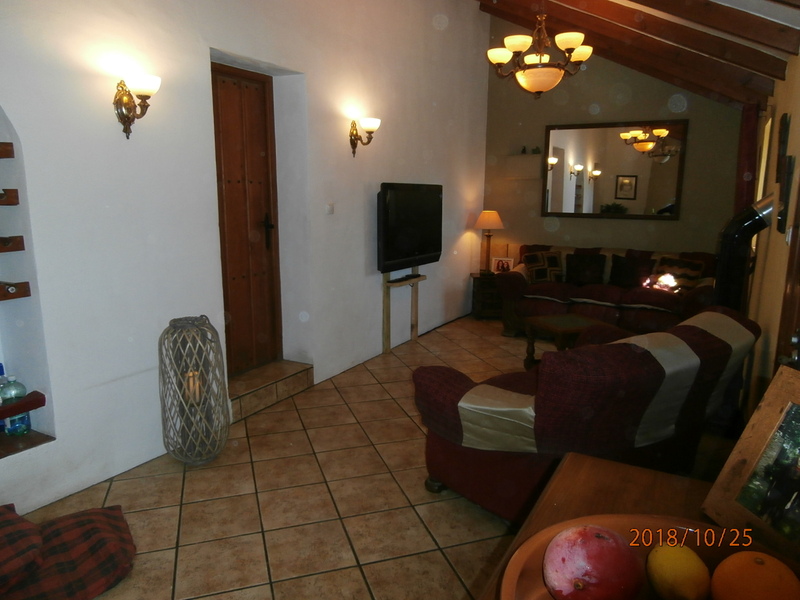 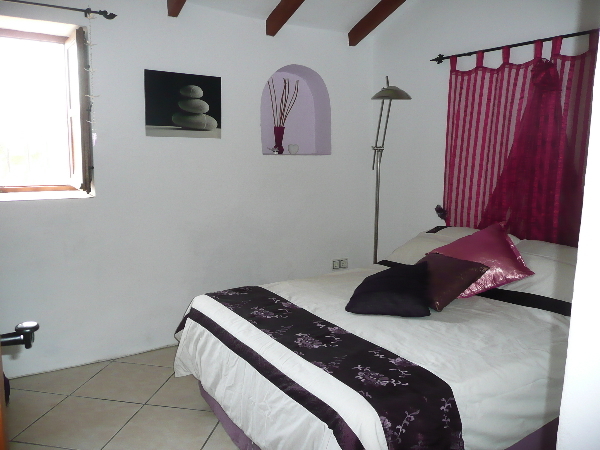 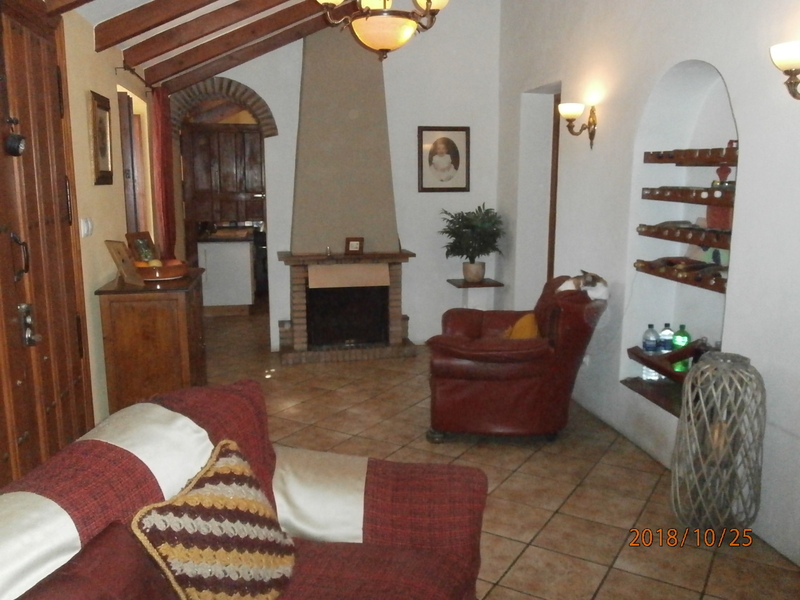 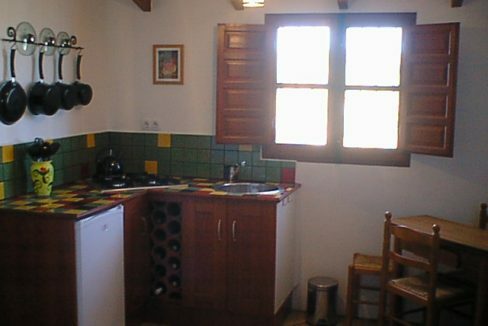 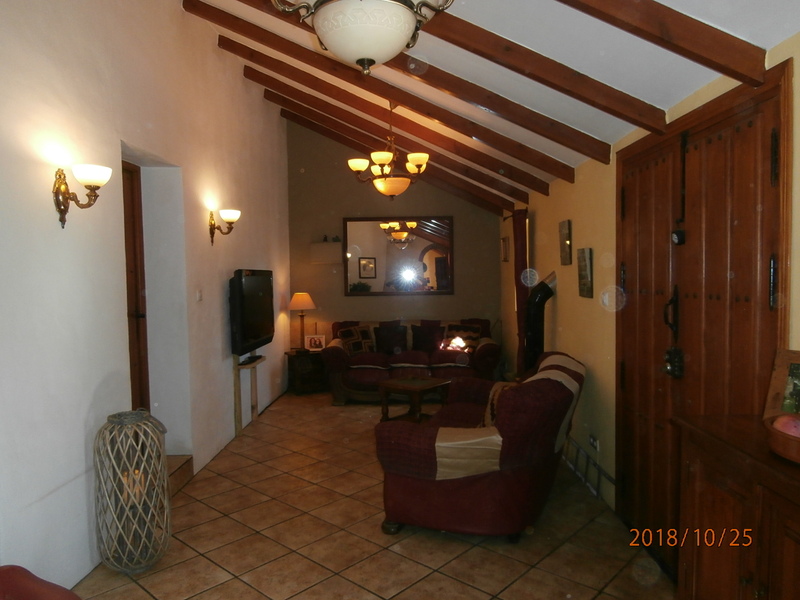 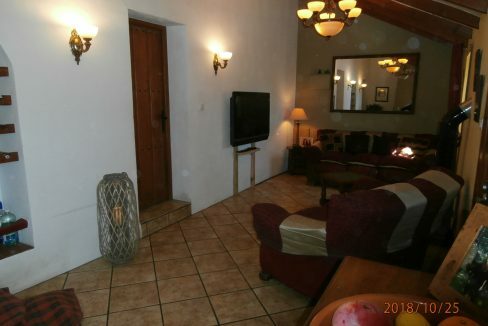 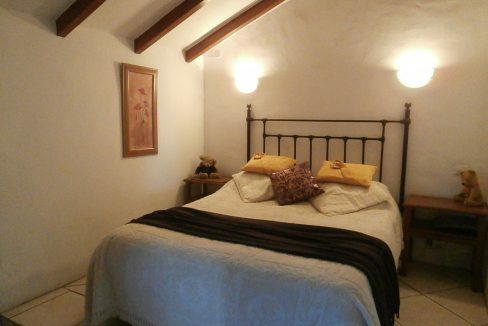 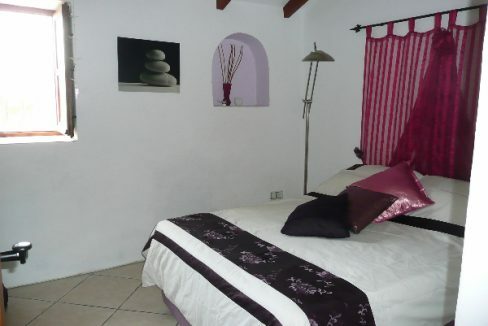 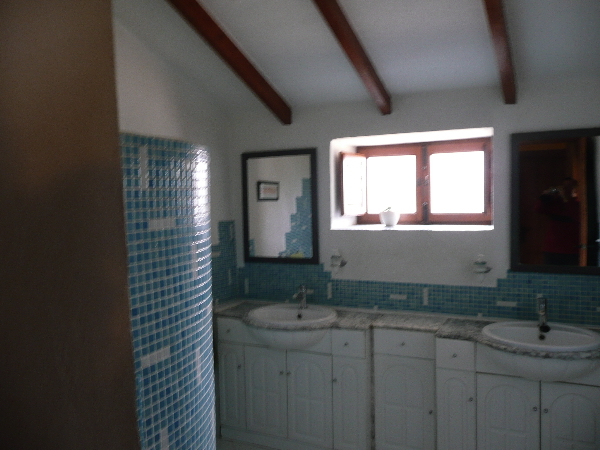 Traditional tiled floors and wooden beamed ceilings throughout. 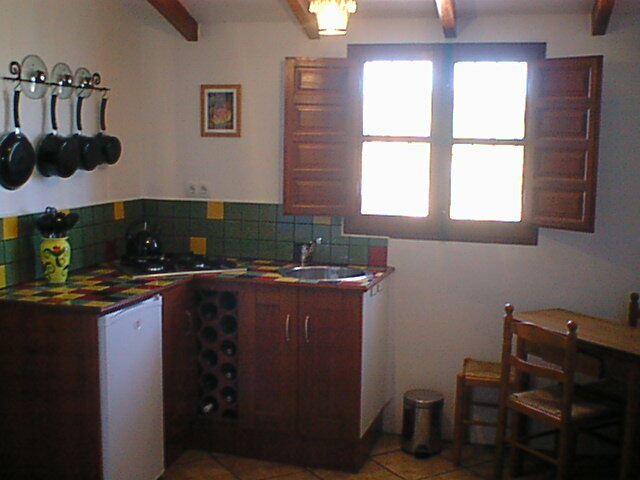 At present set out as 2 properties, but easily converted into one. 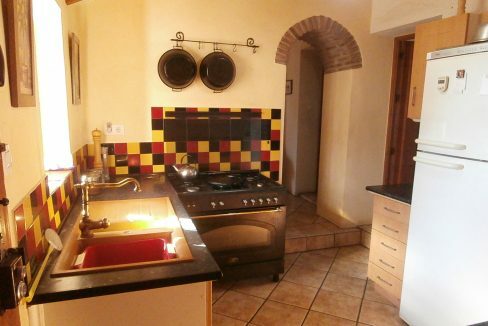 Main with stable door to kitchen with range cooker, dining room with double doors to terrace & brick BBQ, boiler room/storage, bathroom with large walk in shower, lounge with double doors to terraces, 3 double beds . 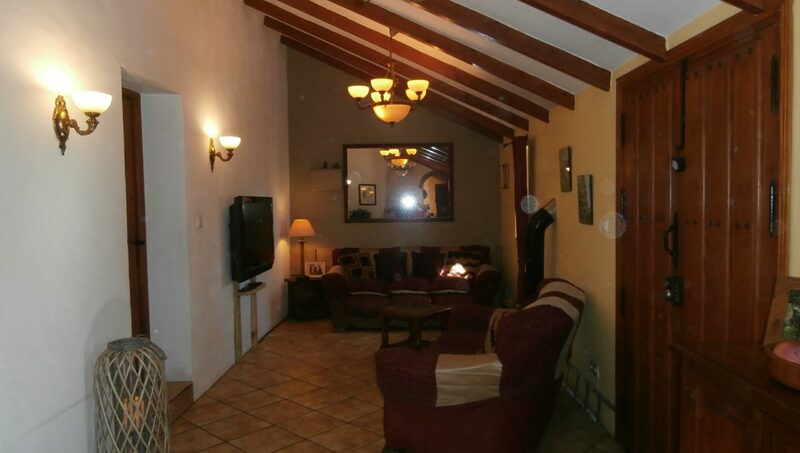 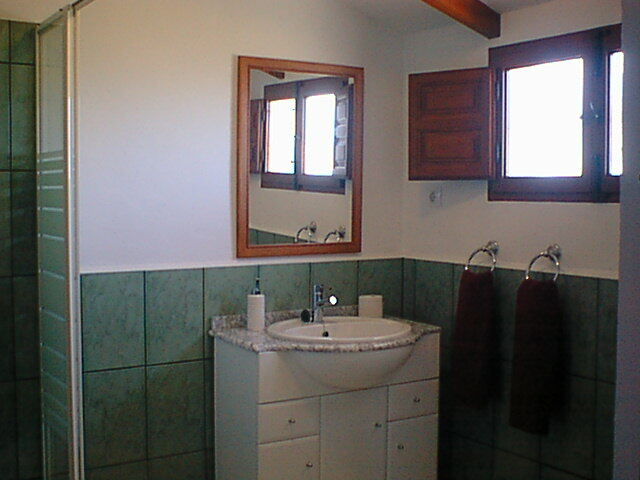 2nd with open plan kitchen/lounge, 2 double bedrooms, bathroom with Jacuzzi shower. 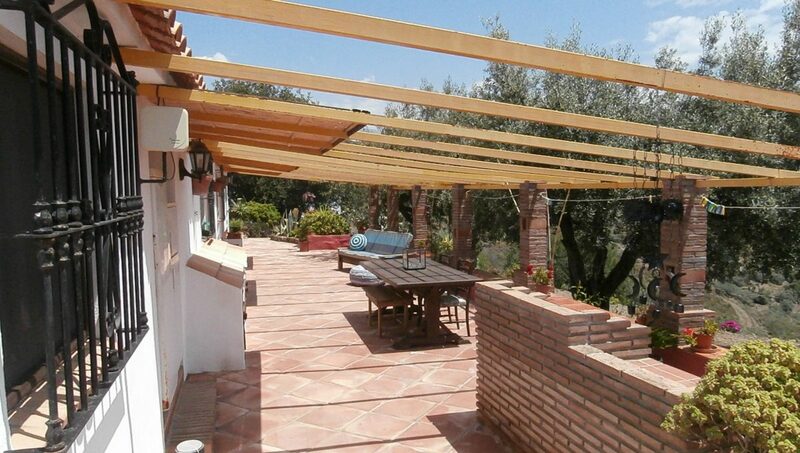 Terrace with brick BBQ. 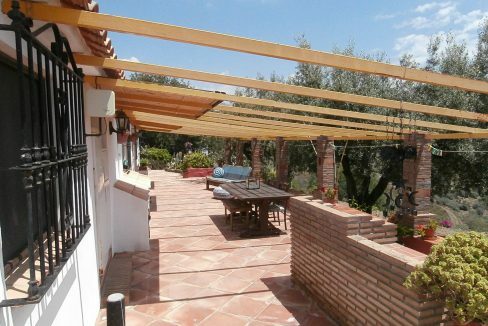 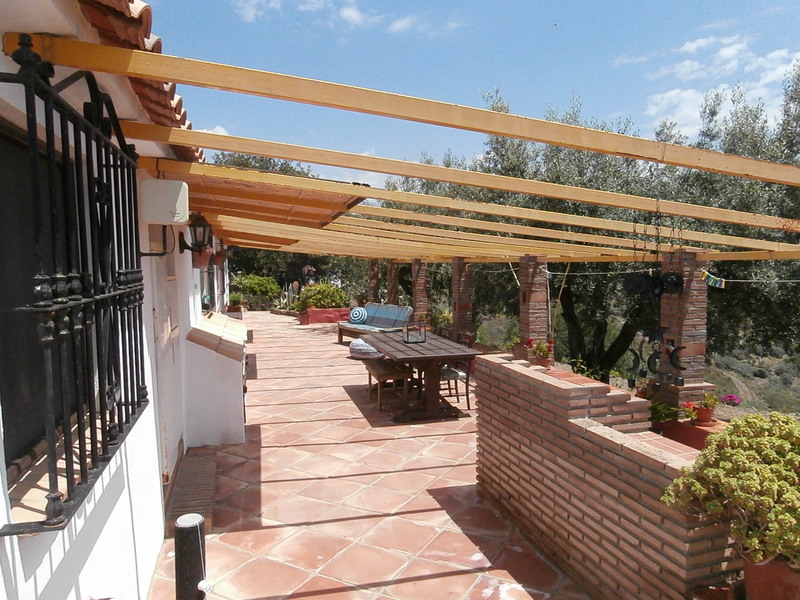 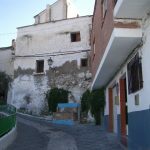 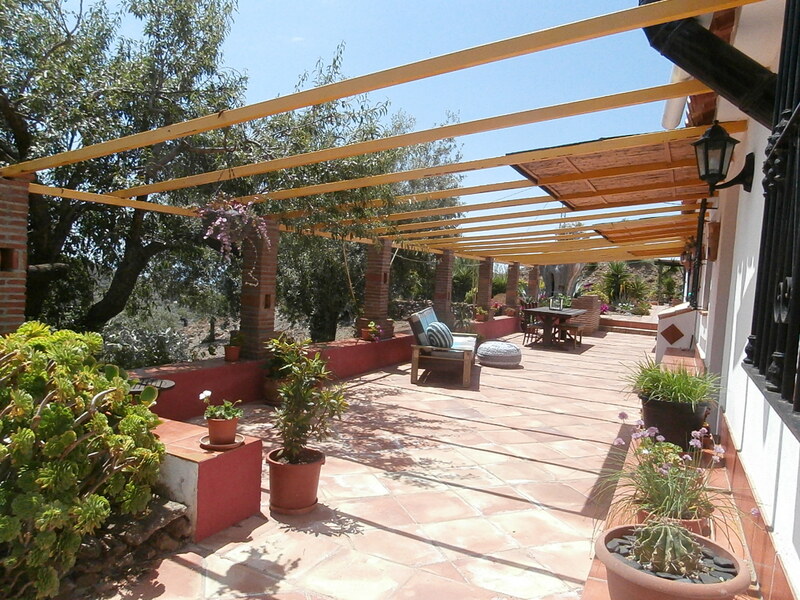 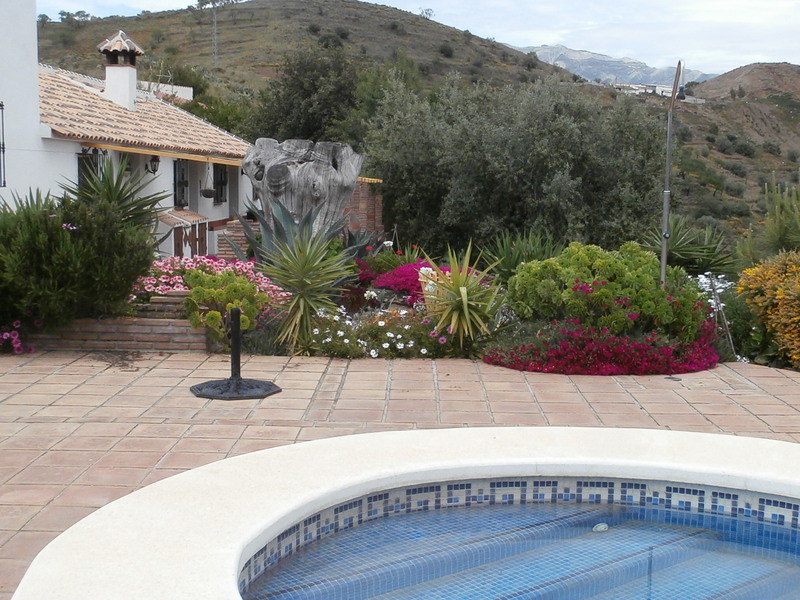 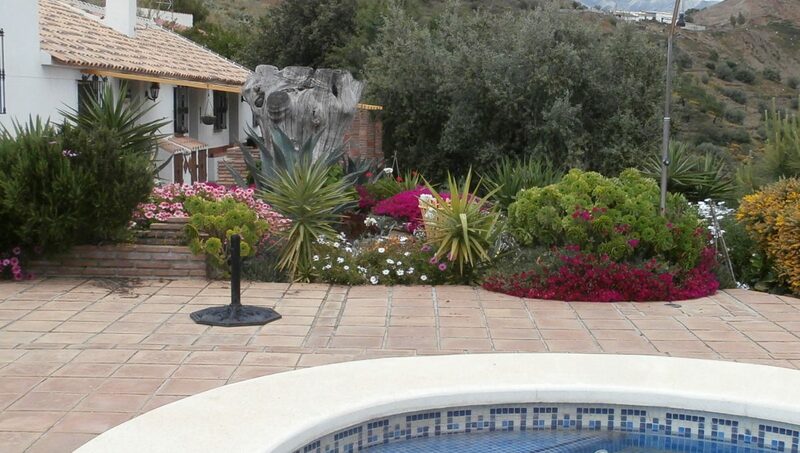 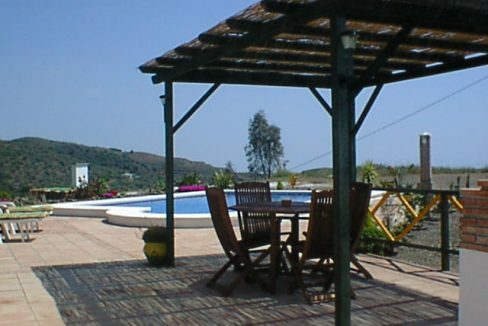 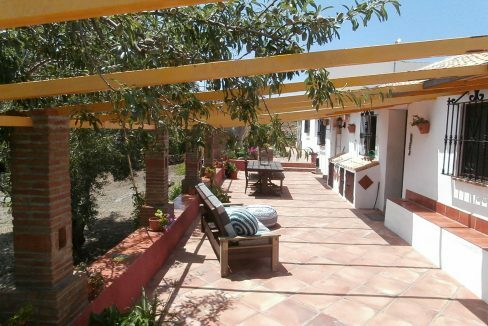 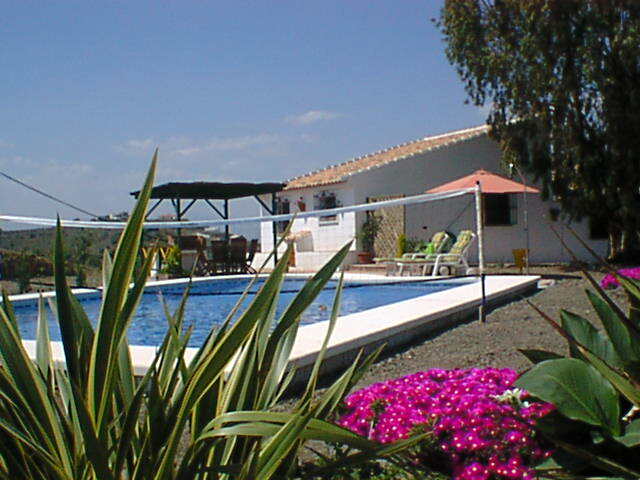 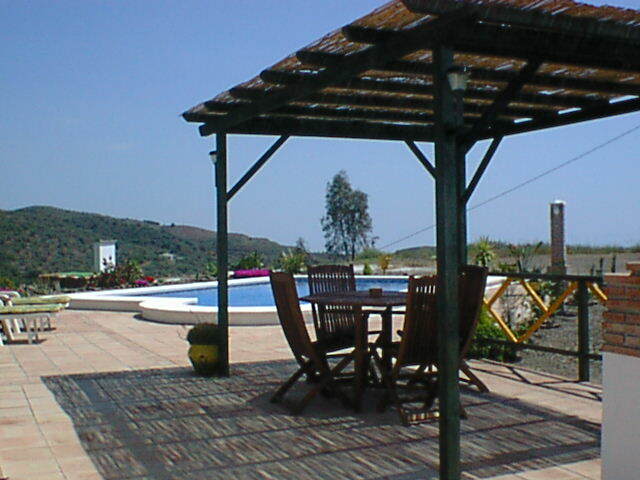 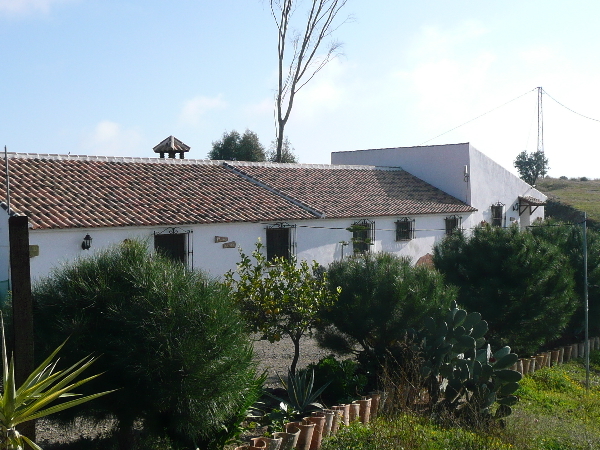 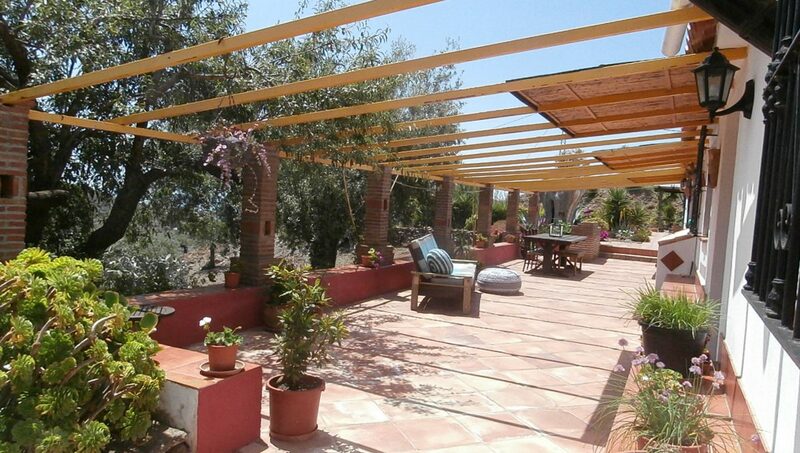 27,000m2 of land and several terraces around the house with a covered terrace. 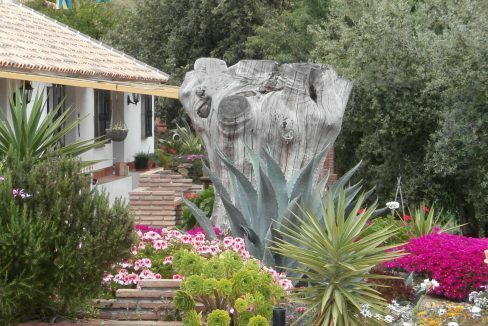 Gardens are mature and sub tropical. 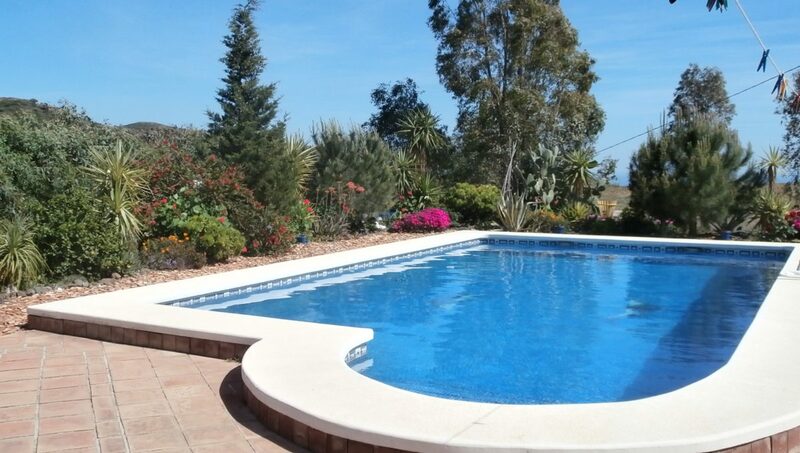 8 x 5 m pool with a depth of 1.8metres with walk in steps. 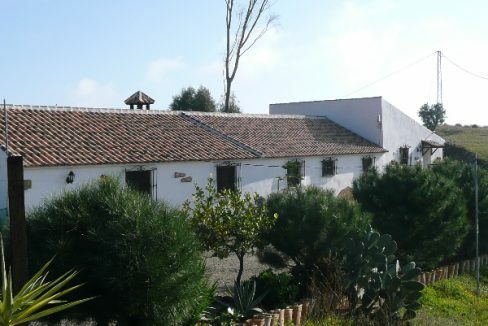 Outhouse which houses 4,000 liter water deposit. 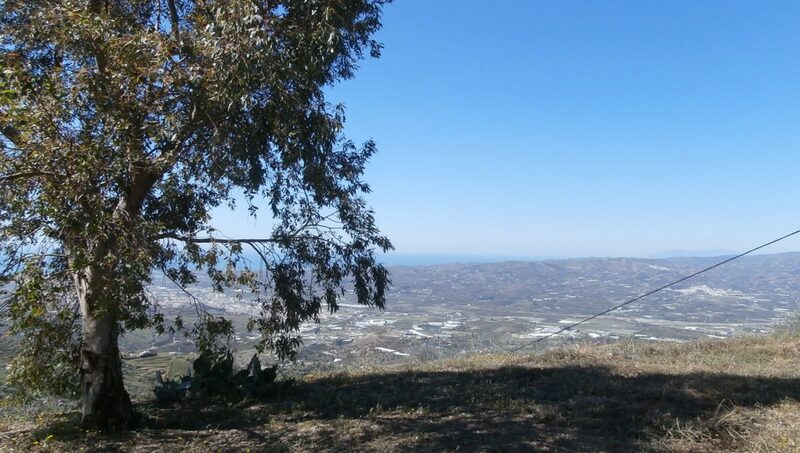 Off road parking for up to 10 cars. 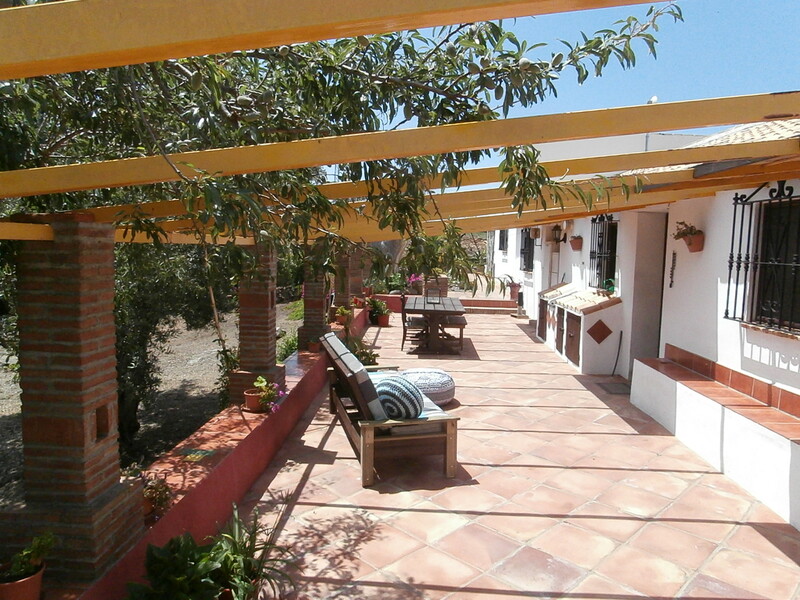 House is accessed via a 5 km track mostly concrete and private road to house of 300 Meters. 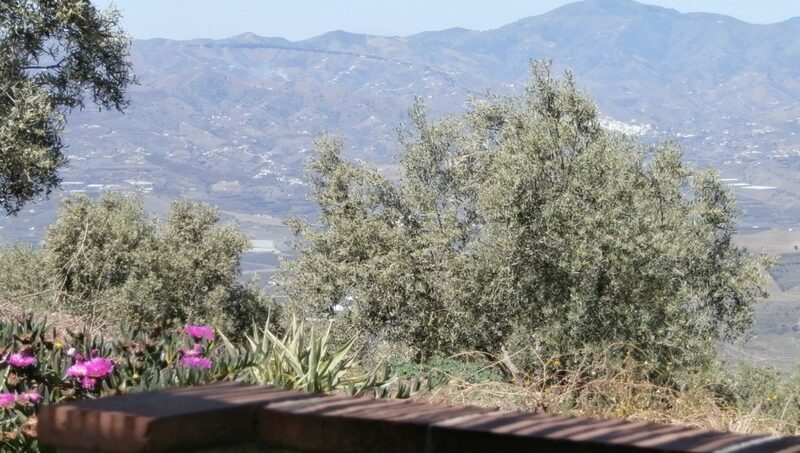 47 olive trees & almond trees which provide an income. 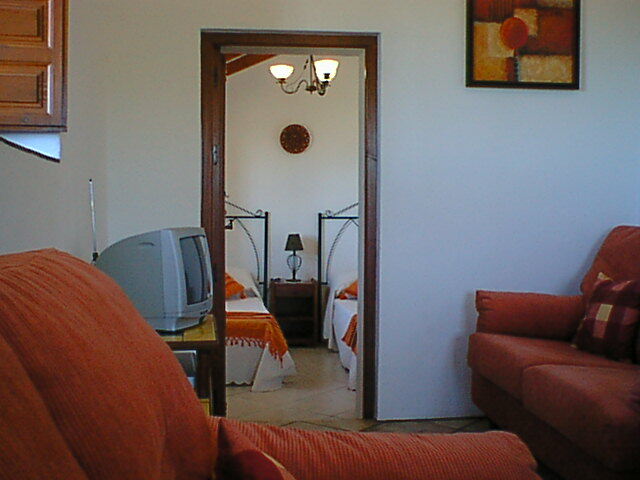 The separate apartment also provides an income. 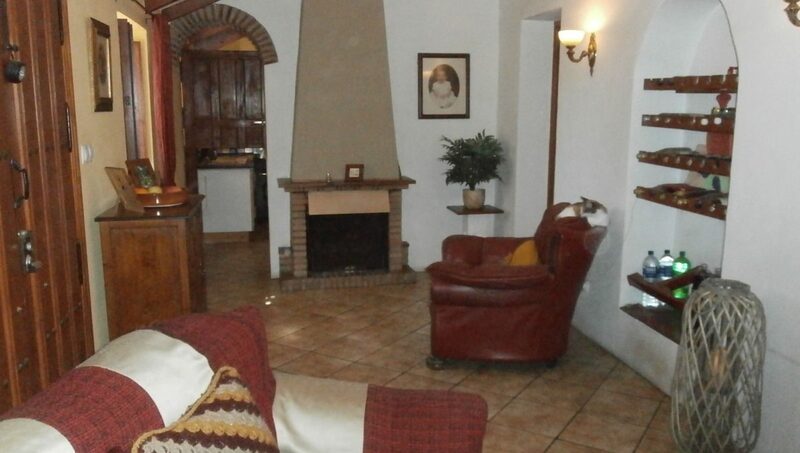 There are 5 dog kennels and runs and 2 catteries here which also provide an income. 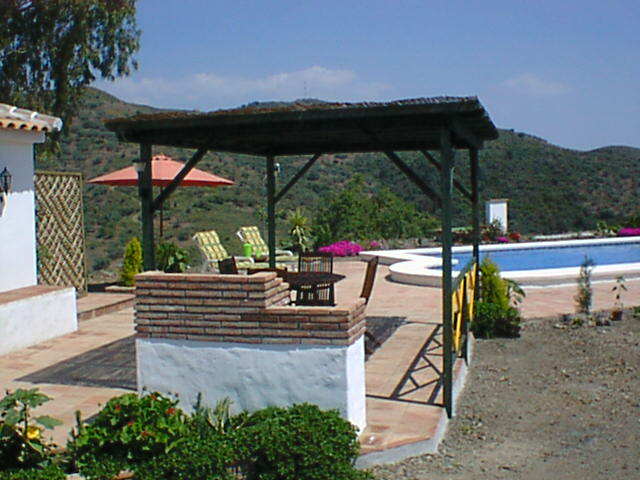 Water is by borehole and sanitary by Pozo Negra. 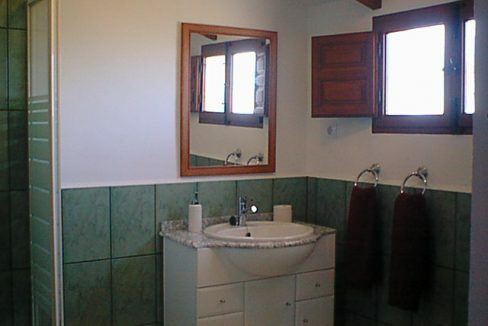 Internet is available. 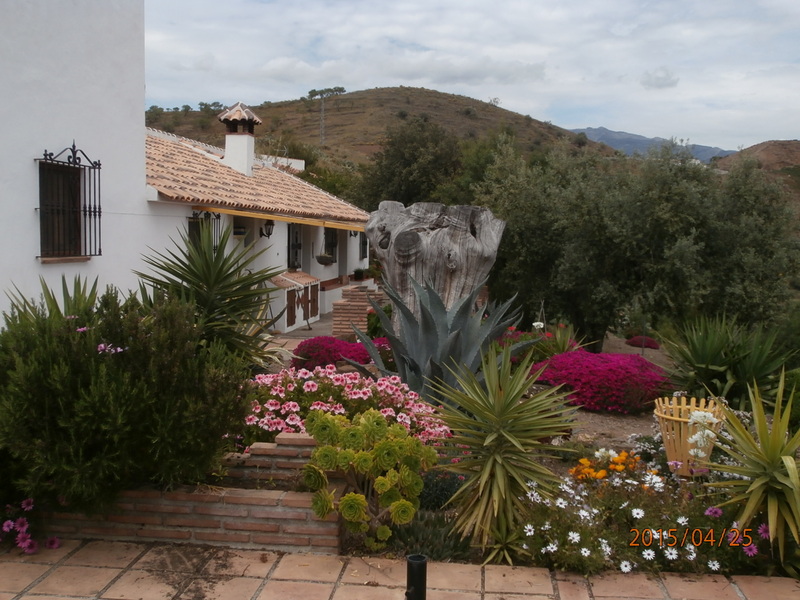 A super opportunity to run your own businesses from home with regular income. 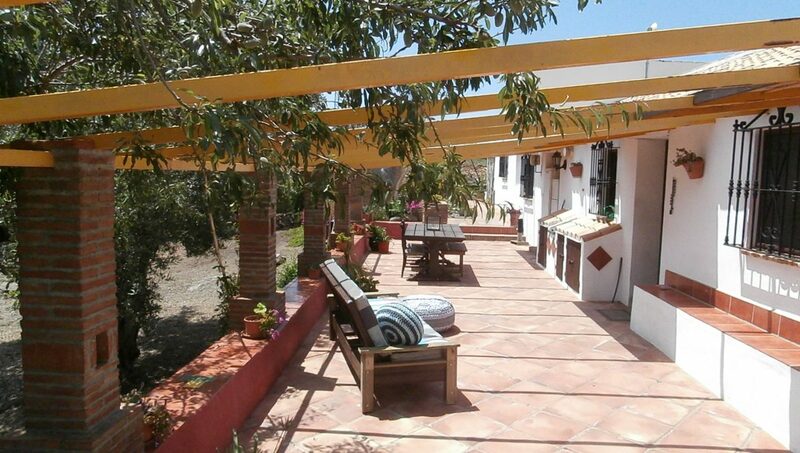 Very private and peaceful, nearest neighbor is 250 meters away.